Wow, was this ever a close race! The two contenders for the Male round of the battle of Lee Michaels’ “Do You Know What I Mean“, Kevin Naquin and Myles Goodwyn, were neck and neck until the very end. I liked both of these covers, which is why I chose them for this battle. Not everyone agrees of course, but I truly had a hard time deciding where to place my vote. In the end I went with Myles Goodwyn. I preferred the music and also the added vocals of Lee Aaron. So Naquin will be in the wings awaiting the outcome of the battle of the Female artists who covered this song. On November 1st, be sure to come listen to the two Female covers and vote for the one you like best. The winners of that battle will face off with Kevin Naquin and the Ossun Playboys in the mid-month November battle, the upcoming “Do You Know What I Mean” Battle of the Sexes. Although it was Kevin Naquin who won, I’m going to leave you with some early songs by Myles Goodwyn, back when he was fronting the Canadian rock band April Wine. A founding member of the band, Myles was the lead vocalist, guitarist and main songwriter. I remember loving the name of the band and I had their 1979 album Harder…Faster. Here is a playlist of all the tracks on that album. The first song is their signature song. Thanks for participating in the premier battle in the Do You Know What I Mean Battle of the Sexes. Come back on November 1st for the Female covers of the song. This entry was posted in Stories and tagged April Wine, Battle of the Bands results, Battle of the Sexes, BOTB, Do You Know What I Mean, Kevin Naquin and the Ossun Playboys, Lee Michaels, music by greyzoned/angelsbark. Bookmark the permalink. First of all, how is your arm doing? I hope you are feeling a lot better by now. If I recall correctly you are still awaiting a scan to determine damage. I wish you the best possible outcome, dear friend! 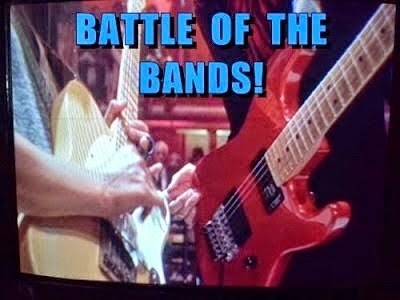 Thanks for reporting the results of your band battle. I’m sorry your ears didn’t match mine this time but happy that Kevin and the Playboys emerged victorious. I enjoyed this April Wine block. They had as good a sound as better known, more successful bands. I hope your mother and your dogs are well. Have a safe and happy weekend, dear friend Michele! Thanks Tom! You picked the winner this round. The women are up next so will be interesting to see if you pick the winner in that battle. I was disappointed that Myles didn’t win but Kevin will be a strong contender in the ultimate M v F battle. Hope you’re enjoying your Sunday. I’m having a really nice mellow weekend here. About to grab the ice pack and go get caught up on my Chicago shows…. I agree. I was hoping Myles would go into the final round but I still think that Kevin will be a strong contender to take on the winner of the female round. I figured April Wine is played frequently in Canada. Glad you’re a fan. Hope you’re enjoying a wonderful Sunday…Hope it’s sunny and warm for ya!